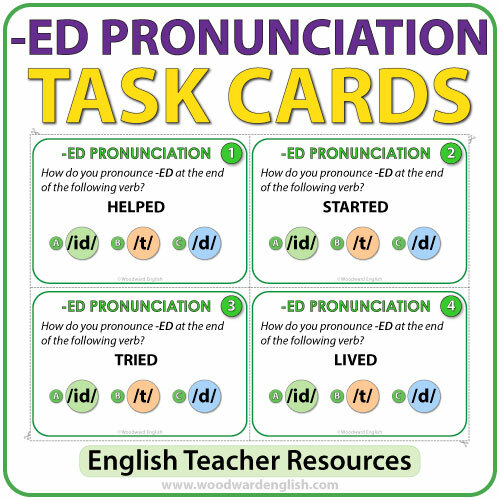 ESL Task Cards to help learn the pronunciation of ED at the end of words in English. 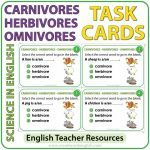 The objective of these tasks cards is learn the sounds of ED at the end of verbs in English. 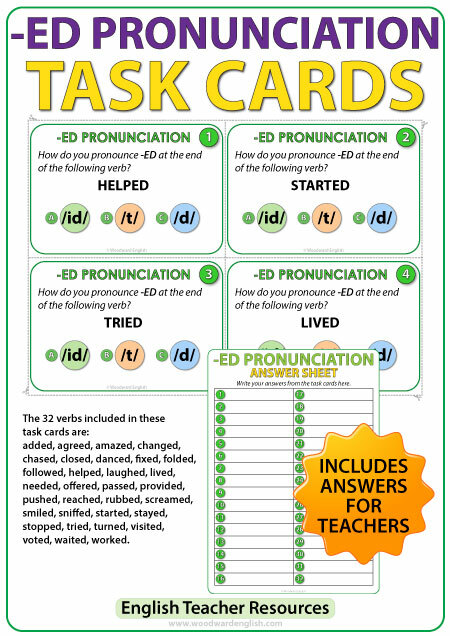 Each task card says: How do you pronounce -ED at the end of the following verb? Followed by a verb ending in -ED. 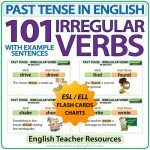 Below the verb are three alternatives: a) /id/ b) /t/ c) /d/. Students need to write the correct alternative on their answer sheet. 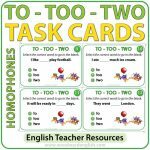 The 32 verbs included in these task cards are: added, agreed, amazed, changed, chased, closed, danced, fixed, folded, followed, helped, laughed, lived, needed, offered, passed, provided, pushed, reached, rubbed, screamed, smiled, sniffed, started, stayed, stopped, tried, turned, visited, voted, waited, worked. 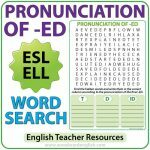 Tarjetas de selección múltiple (u opción múltiple) para aprender la pronunciación de palabras que terminan con ED en inglés.